Who doesn’t love Jackie Chan? 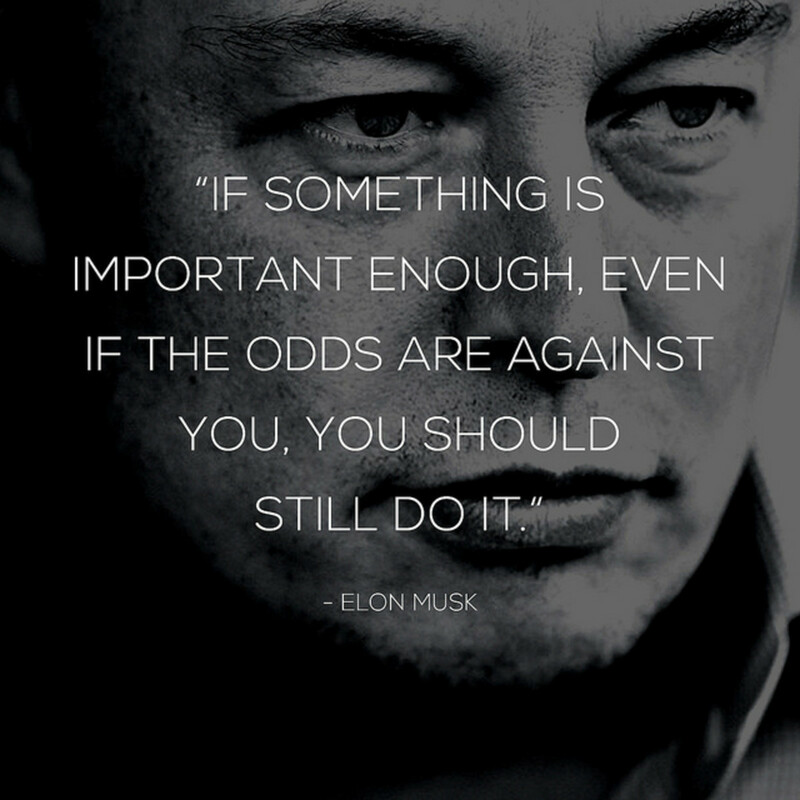 Have you watched one or two of his movies? Considering there are over 100 Jackie Chan movies out there and that he’s considered somewhat of a cultural icon I’m sure you have. With his death defying stunts combined with a comedic fighting style he pioneered and perfected, it’s hard not to love him. I’m familiar with the Hollywood Jackie Chan flicks and can say I was a casual fan, but now I’m being immersed in the vast sea of his Asian movies and I’m astounded. My curiosity had been effectively piqued and I went on a mission to know about this guy you just can’t help but like. I’m so amazed at what I’ve learned I’m going to share it with you. Jackie Chan was born Chan Kong-sang (translation: “Chan born in Hong Kong”) in the Victoria District of Hong Kong on April 7, 1954. Reports state he was in his mother’s womb for 12 months and weighed in at a whopping 12 pounds when was finally surgically birthed. His parents aptly nicknamed him Paopao for “Cannonball” as he spent a great deal of his infancy rolling around. Jackie Chan’s parents are Charles and Lee-Lee Chan. Both were survivors of the Hong Kong Civil War and had meager careers. Charles worked as a cook for the French Embassador to Hong Kong and Lee-Lee was a housekeeper. Jackie was an energetic “naughty” little boy, living up to his insightful nickname. By the time he was attending the Nah-Hwa primary school on Hong Kong Island, he was marching to the beat of his own drummer, spending his travel money on food and fighting with other boys on the way home. Jackie ended up not passing his Primary 1 and when his fellow classmates moved on to the next grade in 1960, Jackie’s father contracted his son, at the age of 7, instead to the Peking Opera School run by Shu Master Yu Jan-Yuen. It proved to be a very wise and insightful decision. This is where the boy who would be called “Jackie Chan” found his calling although at that tender age he was unaware of it. All he knew was that he saw several boys his own age engaging in sword and stick play, tumbling and doing somersaults and wanted to join in. As a result, he never returned to an academic education. He was plunged into the Opera. Even though Jackie can now speak 7 languages he still struggles with reading and writing skills, and requires assistance with his scripts. "It was really arduous, we hardly had enough to eat, enough clothes to keep warm, training was extremely tiring, and Master could cane us anytime!" "...at that time, majority of the people in Hong Kong were poor. It was equally gruelling whichever profession you were in. We were considered fortunate. Our Master was an exceptional person, and he adopted Jackie Chan as his son, and doted on him the most. Our Master took in many disciples, but he didn't take a single cent from us, and even slept on the floor together with us." The Peking Opera School turned out many successes in the Hong Kong film industry during the 1950s and 1960s under the tutelage of Master Yu Jan Yuen. With Jackie immersed in his training, his father Charles immigrated to Canberra, Australia, where he served as Head Cook for the American Embassy. Eventually Lee-Lee joined her husband leaving Jackie to literally be adopted by his Master who doted on him like a son. As a result, Jackie earned the nickname “Double Boy.” The pressures of being his sifu’s “son” put twice the pressure on Jackie. He trained twice as hard and exhibited twice the spirit of the other boys. Unfortunately, he was also punished twice as hard. He became a member of the troupe known as The Seven Little Fortunes consisting of up to 14 members. Performances were done by only 7 at a time. 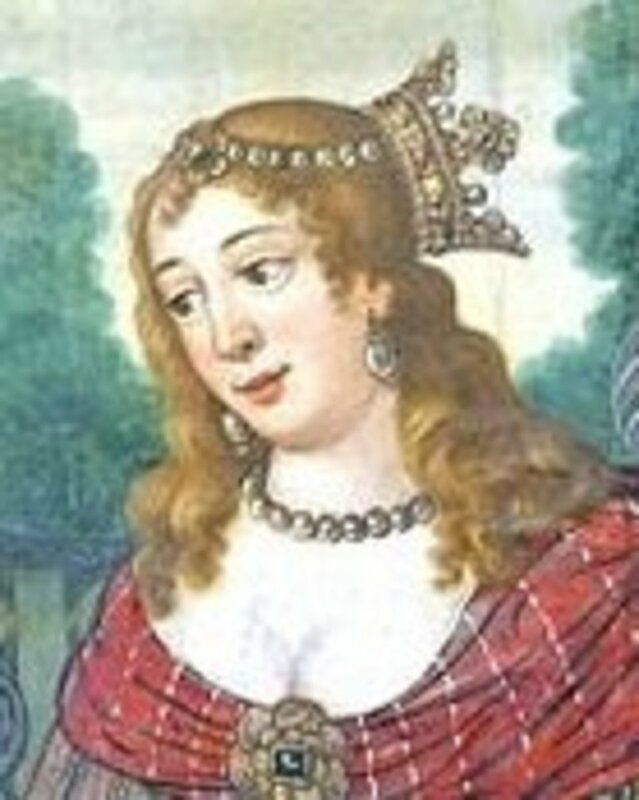 This was a traveling performance group consisting of the most capable members of the Opera. They could be as young as 7 or 8 years of age. The troupe performed for both domestic and western audiences and also as extras for the movie studios. This is where Jackie began his more than 30 year association with the talented Samo Hung and Yuen Biao. The Three Brothers, as they came to call themselves, formed a remarkably coordinated action-comedy trio and performed in "Wheels on Meals" (1983) and "Dragons Forever" (1988), both directed by Hung, and the Jackie Chan-directed classic "Project A" (1983), although Jackie appear in his very first movie at the tender age of 8 in 1962 called “Big and Little Wong Tin Bar”. By the early 1970s, public interest in the Opera was beginning to wane. People were spending more time in the cinema. To help support the now financially floundering school, Master Yu allowed some of his older students to work full time for the movie studios as stunt men and extras. Eventually, and to the dismay of everyone, Jackie left the school and decided to strike out on his own as a film stuntman. To keep his family calm, he untruthfully told them he had landed a contract but the reality was he was living from paycheck to pay check putting on opera exhibitions or working small films. He did eventually land semi-regular work with the well-known Shaw Brothers studio as a regular extra. Ever the acrobat, Jackie spent his free time with the stuntmen and managed to impress them enough that he got his foot in doing stunt work. Often, he performed without wires of safety nets because there simply were no budgets for them. 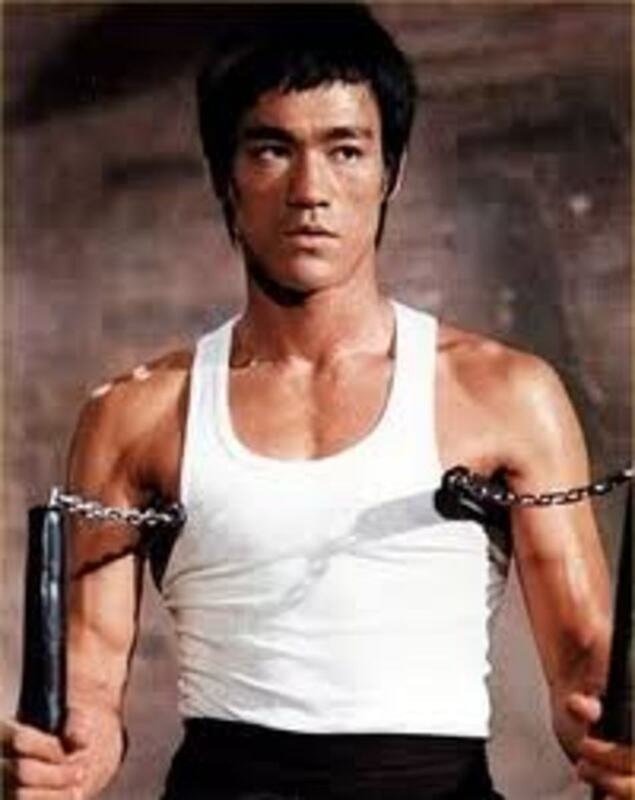 He was reported to have made the highest executed recorded fall in Hong Kong film history while filming “Fists of Fury” and earned a compliment from Bruce Lee. In 1971, at the age of 17, Jackie landed an opportunity as a stunt man in two Bruce Lee films; “Fists of Fury” and “Enter the Dragon” under the stage name Chen Yuen Long. Later that year he struck gold, landing his first leading roll in “Little Tiger of Canton” which debuted in 1973. Unfortunately after that, he was back to more stunt work and he grew bored with it. He signed on with a small studio, Da Di Studio, and made two films with them. Unfortunately both films were flops and his career was losing it’s luster in Hong Kong. He even began having difficulty finding stunt work due to the oversaturation of Kung Fu knock-off movies after the death of Bruce Lee. Public interest in martial arts movies began to dwindle and many studios either reduced their film budgets sharply or closed altogether. Jackie Chan finally gave up his hopes of a Hong Kong film career and joined his family in Australia. During his life in Australia, after leaving Hong Kong and his flagging movie career, Jackie worked in a restaurant and on a construction site. It was on the construction site that Jackie met a man named Jack who had a terrible time pronouncing his name, Kong-Sang. Jack began calling Jackie “little Jackie” which eventually became just “Jackie” and the name stuck. Unfortunately, Jackie didn’t care much for his life in Australia. The construction work was a bore. Finally salvation came in the way of a telegram from Willie Chan who worked in the Hong Kong film industry. He wanted Jackie to work on a new film. Willie had seen Jackie’s stunt work in the past and never forgot him. 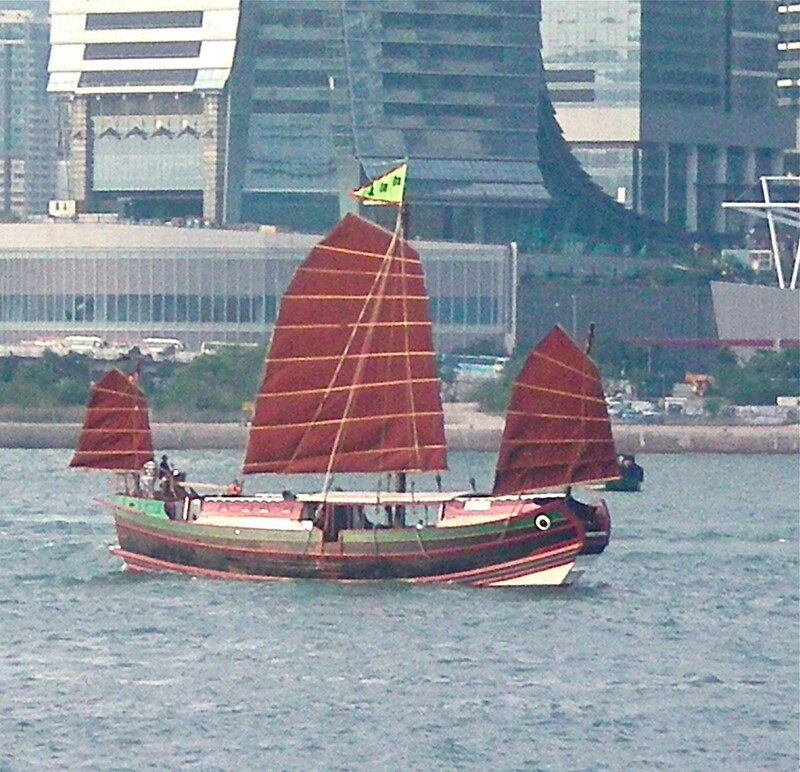 They spoke on the phone and Jackie found himself returning to Hong Kong in 1976. Willie would become his best friend and manager, and still is to this day. “Jackie Chan” was officially born. In 1976, Jackie returned to Hong Kong to revive his film career with a film called “New Fists of Fury” in an attempt to revive the martial arts movie heyday of the 1970s. It was a dismal failure. He made another movie, “Shaolin Wooden Men” and then was loaned to another studio for “Snake in Eagle’s Shadow.” It was in this movie his comedic and furious action style was reborn and the rest, as they say, is history. The film was a hit, and his next film, “Drunken Master” smashed box-office records in Hong Kong and made Jackie an Asia-wide star. 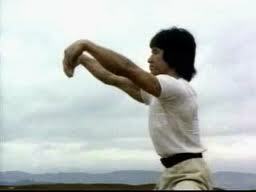 1978 – Jackie co-writes and choreographs a film that showcases for the first time his own genre in “Half a Loaf of Kung Fu”. This movie was originally shunned as “unfunny” by producer but after the success of “Snake in the Eagle’s Shadow” it was released to try to cash in on Jackie’s new fame. 1979 – Jackie co-directs “Fearless Hyena”. 1980 – Jackie begins his music career. He proved to be a prolific singer, having sung the theme songs to his own films and producing his own records. He has produced over 20 albums, in five different languages. He still often records theme songs for him films, often playing them during the credits. 1981 – Jackie goes to Hollywood. He played a minor role in “Cannonball Run” and went on to star in it’s sequel “Cannonball Run 2”. 1982 – Jackie married Lin Feng-Jiao but didn’t reveal their marriage until much later. When asked why he married so young, Jackie replied his new wife was pregnant. Their son, Jaycee Chan was born later that year. 1985 to 1987 – Chan leaves Hollywood to revive his Asian career making several more films in Hong Kong. His early Hollywood failure proved to be a blessing. In Hong Kong, films were less expensive to make and insurance companies were less paranoid which allowed Jackie to explore and attempt even wilder stunts. 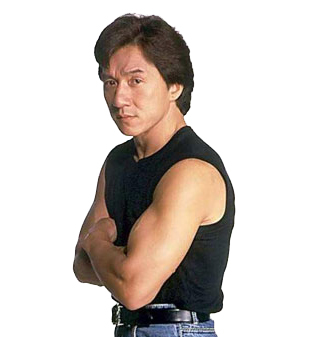 1988 – Jackie founds the Jackie Chan Charitable Foundation. It offer scholarships and active help to Hong Kong’s young people through a variety of worthy causes. Over the years, the foundation has broadened its scope to include provision of medical services, aid to victims of natural disaster or illness, and projects where the major beneficiaries are Hong Kong people or organizations. 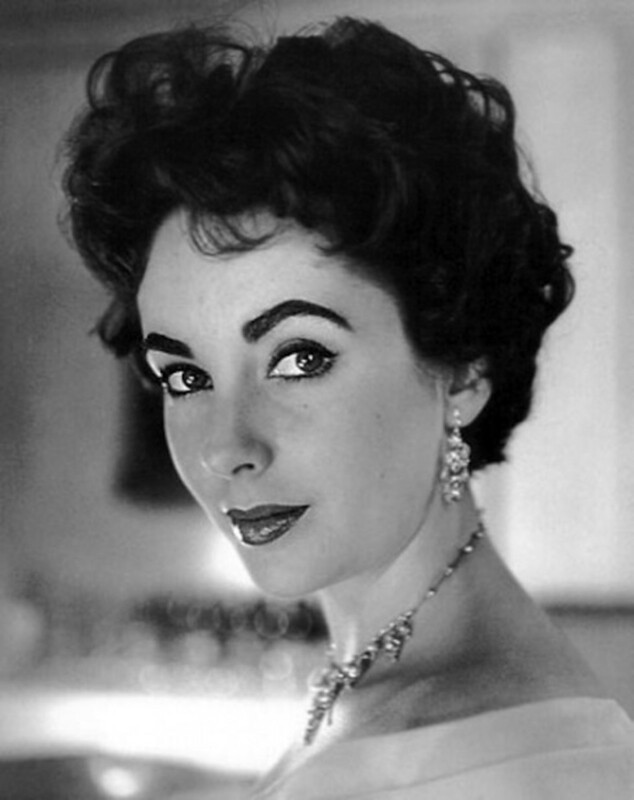 1989 to 1994 – Jackie releases several more very successful movies. 1995 – Jackie makes “Rumble in the Bronx” as a breakthrough film for both American and Asian audiences with success and earning him a cult following in the U.S. This leads to the making of “Rush Hour” which earns him worldwide stardom. 1998 to 2002 – Jackie stars in a long line of hit films. 2003 – Jackie makes a documentary about his family. 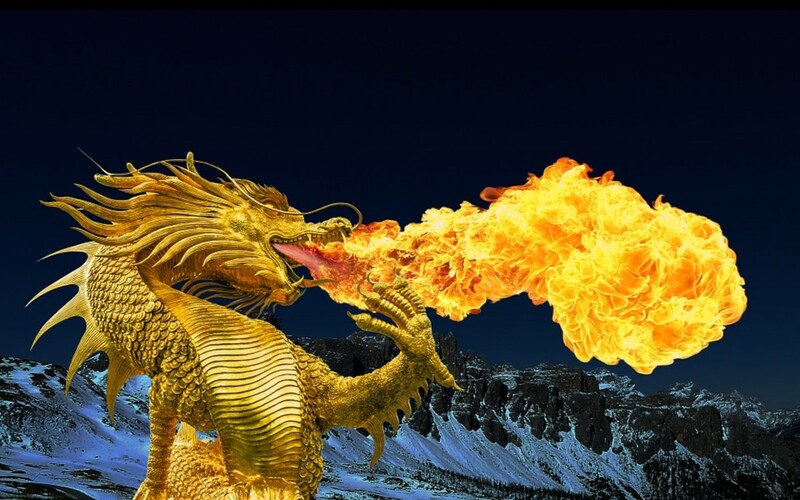 Intrigued by this explanation of events, and also by his parents' turbulent lives during China's Cultural Revolution, he'd make a documentary entitled "Traces Of Dragon: Jackie Chan And His Lost Family". Jackie discusses his affairs, one being with the former Miss Asia Elaine Ng, with whom he has a daughter. After many years of secrecy, his father would also inform him that his real name was not Chan but Fung (or Fong, depending on who's saying it) and that he has two half-sisters in Australia and two half-brothers in China. 2004 – Jackie becomes a Goodwill Ambassador for UNICEF and UNAIDS for the Asian region. 2004 - Jackie introduced his JC Collection line of clothing in Beijing with the wish to supply comfortable and stylish clothes with a Chinese feel that can be enjoyed by people all over the world. 2006 – Jackie Chan is listed as one of Forbes “generous celebrities”. 2006 to present – Jackie Chan is still releasing and producing successful films and involved in charities. I found it impossible to include everything Jackie has ever done. He's had an amazing life and career and hopefully he'll be sharing many more with us. Hubbing is fun! If you enjoy writing and want a great community to be part of at the same time, sign up! Thanks for reading and leaving a comment, Didge. Much appreciated! I'm glad you enjoyed. I really enjoyed writing this. Jackie Chan is one of my favourite actor. I have watch several of his movies and I always enjoy his humour and acting ability. I had so much fun writing this article. I had NO clue about him. Now that I'm living in India, they air all of his old Hong Kong produced films here and some of them are really good. I don't think I've ever seen a "bad" Chan film. Glad you both enjoyed, dinkan and parentsreview. Thanks for reading! 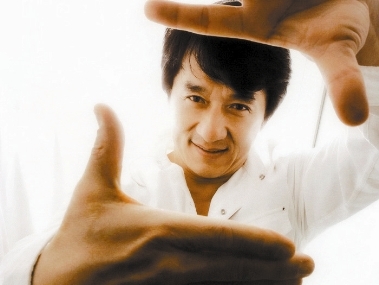 I love Kung-Fu, and I have watched several Jackie Chan movies, and never knew a thing about him. I can't believe he was in his mother's womb for twelve months and weighed twelve pounds! That doesn't even seem possible. Great hub, and great info! I enjoy watching Jackie Chan movies most of my free time. You know those (Most)films are like some anti-stress program for me. thanks for his history, rated up and interesting.